The Mangledwurzels and DJ Bob Darch (7pm) at Charity Wassail at Rich's Farmhouse Cider, Watchfield, Highbridge, Somerset TA9 4RD (01278 783651) Burnham-On-Sea Rotary Club in association with Rich's Farmhouse Cider are holding their annual Wassail to raise money for charity (and ensure a good crop of apples, of course!). This year the money is being raised in aid of the National Blind Chldren's Society and The Gateway Club. The Mangledwurzels and DJ Bob Darch will be providing the entertainment. Tickets on sale now priced at £9.50; children under 12 free. Bar 'til midnight, hog roast and hot mulled cider available. The Skimmity Hitchers (7pm) at Charity Wassail at West Croft Cider Farm, Brent Knoll, Somerset One of Somerset's finest wassail events. As well as a traditional blessing of the holy apple tree, there will be much farmhouse scrump to be drunk and a huge barn full of live music throughout the evening. Last year the Orchard cider pub in Bristol ran a coach out there, check The Skimmity Hitchers Facebook page to see if this happens again. Proceeds from the event go to local charities. Acker Bilk & The New Paramount Jazz Band at Ball Barber & Bilk Germany Tour at Chemnitz, Germany. 3B's Concert with Acker Bilk, Chris Barber and Kenny Ball with their bands. Acker Bilk & The New Paramount Jazz Band at Ball Barber & Bilk Germany Tour at Magdeburg, Germany. 3B's Concert with Acker Bilk, Chris Barber and Kenny Ball with their bands. Acker Bilk & The New Paramount Jazz Band at Ball Barber & Bilk Germany Tour at tbc, Germany. 3B's Concert with Acker Bilk, Chris Barber and Kenny Ball with their bands. Acker Bilk & The New Paramount Jazz Band at Ball Barber & Bilk Germany Tour at Bielefeld, Germany. 3B's Concert with Acker Bilk, Chris Barber and Kenny Ball with their bands. The Mangledwurzels (7.30pm) at 3rd Bristol Winter Cider Festival at Brunel’s Old Station, Clock Tower Yard, Temple Meads, Bristol BS1 6QH. Tickets on sale now - £7.00 in advance from the Pavilion Box Office shop (tel 01225 330304); £8.00 on the door. Over 100 ciders and perries including award-winning ciders from Ben Crossman's, Rich's, Thatchers, Broadoak and Heck's (Somerset), Gwatkin (Herefordshire), Gwynt Y Ddraig (Wales), and Mr. Whiteheads (Hampshire) - as well as hog roast rolls and cheese platters, and a range of soft drinks for the drivers. The Mangledwurzels (11.30am) at 3rd Bristol Winter Cider Festival at Brunel’s Old Station, Clock Tower Yard, Temple Meads, Bristol BS1 6QH. Tickets on sale now - £7.00 in advance from the Pavilion Box Office shop (tel 01225 330304); £8.00 on the door. Over 100 ciders and perries including award-winning ciders from Ben Crossman's, Rich's, Thatchers, Broadoak and Heck's (Somerset), Gwatkin (Herefordshire), Gwynt Y Ddraig (Wales), and Mr. Whiteheads (Hampshire) - as well as hog roast rolls and cheese platters, and a range of soft drinks for the drivers. Acker Bilk & The New Paramount Jazz Band (Ball Barber & Bilk) at Town Hall, Birmingham (0121 780 3333) 3B's Concert with Acker Bilk, Chris Barber and Kenny Ball with their bands. The Wurzels at Bar BSB Waterside, Canons Road, Bristol BS1 5U. Gig cancelled! The Mangledwurzels (7.30pm) at 5th Bath Cider Festival at Bath Pavilion, North Parade, Bath BA2 4EU (01225 330304) Tickets on sale now - £7.00 in advance from the Pavilion Box Office shop (tel 01225 330304); £8.00 on the door. Over 100 ciders and perries including award-winning ciders from Ben Crossman's, Rich's, Thatchers, Broadoak and Heck's (Somerset), Gwatkin (Herefordshire), Gwynt Y Ddraig (Wales), and Mr. Whiteheads (Hampshire) - as well as hog roast rolls and cheese platters, and a range of soft drinks for the drivers. 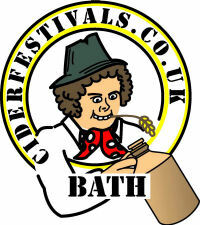 The Mangledwurzels (11.30am) at 5th Bath Cider Festival at Bath Pavilion, North Parade, Bath BA2 4EU (01225 330304) Tickets on sale now - £7.00 in advance from the Pavilion Box Office shop (tel 01225 330304); £8.00 on the door. Over 100 ciders and perries including award-winning ciders from Ben Crossman's, Rich's, Thatchers, Broadoak and Heck's (Somerset), Gwatkin (Herefordshire), Gwynt Y Ddraig (Wales), and Mr. Whiteheads (Hampshire) - as well as hog roast rolls and cheese platters, and a range of soft drinks for the drivers. The Yetties (7.30pm) at Folk South West Fundraiser at Leigh Village Hall, Leigh, Sherborne, Dorset DT9. Tickets £8 (£6) from Folk South West on 01935 873370. The Mangledwurzels at The Bells Hotel and Country Club, Coleford, Gloucestershire GL16 8BE (01594 832 583) Cancelled by promoter! Acker Bilk & The New Paramount Jazz Band at Fairfield Halls, Croydon (020 8688 9291) 3B's Concert with Acker Bilk, Chris Barber and Kenny Ball with their bands. The Yetties at Halsway Manor, Crowcombe, Somerset. There are a few extra tickets available for the Saturday night concert. If you are interested ring the Manor on 01984 618274. Acker Bilk & The New Paramount Jazz Band at Bridgewater Hall, Manchester 3B's Concert with Acker Bilk, Chris Barber and Kenny Ball with their bands. The Skimmity Hitchers at The Victoria Hotel, Maud Road, Dorchester, Dorset (01305 262808) Free entry. The Yetties (3pm) at Tea Dance & Concert at Methodist Church Hall, Hinckley, Leicestershire LE10. Contact Janet Wood, 5 Lyneham Close, Hinckley, Leics., LE10 0XY; tel. 01455 613889. The Mangledwurzels (9pm) at The Pilot, 56 Blenheim Park, Melksham, Wiltshire SN12 6TA (01225 790599) Free entry. The Yetties (3pm) at Willand Village Hall, Willand, Devon. Contact Brian Thomas, Higher Brithayes Farm, Silverton, Exeter, Devon, EX5 4BY; tel. 01884 855267. The Yetties (8pm) at Antrobus House, Amesbury, Wiltshire SP4 Contact Mrs. G. Warren, 87 Countess Road, Amesbury, Wilts., SP4 7A; tel. 01980 622000. The Skimmity Hitchers (9pm) at The Seven Stars, Thomas Lane, Redcliffe, Bristol Free entry. The Skimmity Hitchers (9pm) at The Greyhound, The Square, Corfe Castle, Wareham, Dorset BH20 5EZ Free entry. Acker Bilk & The New Paramount Jazz Band at Gunard Pines, Gunard, Cowes, Isle Of Wight. Box Office: 01983 866039 or contact Harry Darby on 01983 867274. The Mangledwurzels (6pm) at Rag Beer & Cider Festival at Legends Bar at Hartpury College, Hartpury, Gloucester GL19 3BE. Students and guests only! The Mangledwurzels (9pm) at The Canal Inn, Wrantage, Taunton, Somerset TA3 6DF (01823 480210) Free entry. The Yetties (8pm) at Upton Community Centre, Upton, Poole, Dorset, BH16 Contact Simon Thomson, 11 Ballam Close, Upton, Poole, Dorset, BH16 5QU; tel. 01202 621574 (evenings). The Yetties (3pm) at The RAFA Club, Waterloo Square, Bognor Regis Contact David Batcock on 01243 823007. The Yetties (8pm) at The RAFA Club, Waterloo Square, Bognor Regis Contact David Batcock on 01243 823007. The Yetties (7.30pm) at Weymouth Bay Methodist Church, Weymouth, Dorset Contact Pete Philp on 01305 812637. The Skimmity Hitchers (9pm) at The Ropemakers, West Street, Bridport, Dorset. Free entry. The Yetties Final Fling Retirement Weekend at Sherborne, Dorset The Ceilidh on the Friday night and the Concert on the Saturday have long been sold out but there are still a few left for the Sunday afternoon farewell, chat, cup of tea, bun and auction of Yetties memorabilia etc. The Mangledwurzels (2pm) at West County Derby (Bath vs Exeter) at Bath Rugby, The Recreation Ground, Spring Gardens, Bath, Somerset BA2 4HY The Bath vs Newcastle Falcons match is the finale of the Premiership season. For those of you lucky enough to get a ticket, there will be added West Country flavour with The Mangledwurzels will be serving up their own brand of Wurzels-flavoured, cider-fuelled Scrumpy & Western entertainment playing a full show after the game has finished. In addition there will be cider tasting courtesy of Blackthorn cider, and various other local produce for you to sample. Check the Bath Rugby website for further details on ticket availability. The Wurzels at Bristol Zoo, Clifton, Bristol (01179 747 300) A West Country-themed celebrity launch party for the inductees onto the Bristol Walk of Fame. The Walk of Fame forms part of celebrations to mark Bristol Zoo’s 175th birthday this year. The Wurzels and Microlight (7pm) at Charity Gig at Westlands Leisure Complex, Westbourne Close, Yeovil, Somerset BA20 2DD (01823 337172) All proceeds go to the Flying Colours charity (Yeovil Hospital Women's Ward). Tickets: £12.50 Advance / £15.00 OTD (16's & Over). Tickets can be purchased direct from Westlands Leisure Complex. Doors open 7.00pm; gig starts 8.00pm. The Mangledwurzels (noon) at 'Somerset Day' Race Meeting at Wincanton Racecourse, Wincanton, Somerset BA9 8BJ (01963 32344 enq / 0844 579 3014 tickets) A special weekday race meeting with a full race card, and live entertainment from the Mangledwurzels. Gates open at noon; first race: 2.20pm; The Mangledwurzels will be performing after the final race. See the Wincanton Racecourse website for further details. The Mangledwurzels (9pm) at St. George's Day Cider Special at The Bell Hotel, 2 High Street, Shepton Mallet, Somerset BA4 5AN (01749 345393) Free entry. The Skimmity Hitchers (9pm) at Ring O'Bells, Chagford, Devon TQ13 8AH Free entry. The Wurzels and Surfin' Turnips (7pm) at Metropolis, 135-137 Cheltenham Road, Bristol BS6 5RR (0117 909 6655) Tickets £16 advance booking strongly recommended! The venue will be hosting their very own Cider Festival in the terraced Beer Garden, with the best local ciders they can find. Weather permitting, they will also be running a BBQ. Gig Cancelled! The Mangledwurzels (4pm) at The Pall Tavern, Silver Street, Yeovil, Somerset BA20 1HW (01935 476521) Free entry. The Skimmity Hitchers (4pm) at The Portland Arms, Fortuneswell, Portland, Dorset DT5 1LZ Free entry. Bonny Sartin (The Yetties) (7.30pm) at The Chapel in the Garden, East Street, Bridport, Dorset. A Banks of Newfoundland talk by Bonny to raise money for Bridport Museum. Tickets £8 or £10 on the door from The Coach House, Gundry Lane, 01308 458703 or Bridport Museum, South Street (01308 425707). The Wurzels and Corky at 2nd Annual Real Ale and Cider Festival at The Sun Inn, Lydiard Millicent, Wiltshire (01395 514129) The Bank Holiday weekend long festival will feature over 30 ales and ciders sourced both locally and from across the country. The Wurzels will open the festival on the Thursday night. Those who attend will be granted temporary membership of The Sun Inn's 'Real Ale Tasting Society' R.A.T.S. and enjoy festival ales and ciders at just £2 a pint. The limited tickets are expected to sell fast. The gates will open at 4pm with supporting bands from 6pm. Gig Cancelled! The Skimmity Hitchers, Thomas and The Mock Ups and DJ Dapper Dan (7pm) at Yeovil TUC, Unity Hall, Central Road, Yeovil, Somerset BA20 1JL Tickets £6 in advance; £8 on the night. Tickets from the Bar or contact Viv Willis 07855 320041 or vivianvjw@aol.com. The Wurzels at Queen's Hall, 75 Queens Road, Nuneaton, Warwickshire CV11 5LA (024 7634 7402) Tickets on sale now £20.00. The Mangledwurzels (8pm) at RED Bar at UWE Students Union, F Block, Frenchay Campus, Bristol BS16 1QY. Students and guests only! Acker Bilk & The New Paramount Jazz Band at St. George’s Church, Beckenham, Kent. Back2Back with kenny Ball with his band. The Mangledwurzels (3pm) at School May Fair at Crudwell CE Primary School, Crudwell, Malmesbury, Wiltshire SN16 9ER. Details to follow. Acker Bilk & The New Paramount Jazz Band at Waterfront Hall, Belfast (02890 334455) 3B's Concert with Acker Bilk, Chris Barber and Kenny Ball with their bands. The Wurzels and The Skimmity Hitchers at Wimbourne Town Football Club, Cuthbury, Cowgrove Road, Wimborne, Dorset BH21 4EL (01202 884821) Tickets £15.00, Ciders and real ales available, plus hog roast and BBQ. Acker Bilk & The New Paramount Jazz Band at Philharmonic Hall, Liverpool (0151 709 3789) 3B's Concert with Acker Bilk, Chris Barber and Kenny Ball with their bands. The Mangledwurzels (7.30pm) at Tribute Night & Dinner at The Gables Hotel, Bristol Road, Falfield, Gloucestershire GL12 8DL (01454 260502) Tribute night and dinner. Tickets are priced at £16.00 per person, including a hog roast, desserts and coffee. Guest ciders will be available! Tickets available now; to book please call the hotel on 01454 260502 or email conferenceandevets@thegablesbristol.co.uk. Doors open 7.30pm for meal at 8pm; The Mangledwurzels will be on stage from 9.30pm. The Wurzels (7pm) at Thatchers Cider Festival at The Grand Pier, Weston-super-Mare, Somerset (01934 620238) Tickets on sale now priced at £7.50 in the retail shop and £8.50 online (inc. postage). Doors will open at 7pm. The New Forest Plonkers at (7.30pm) at Mayor Making Day at Salisbury Guildhall, Salisbury, Wiltshire. The Wurzels at Sub 49, Unit R4, Gunwharf Quays, Portsmouth, Hampshire PO1 3TW Tickets £12.50, Over 14s only. The Mangledwurzels (8.30pm) at Salisbury Live (part of the Salisbury International Arts Festival) at The Cathedral Hotel, 7-9 Milford Street, Salisbury, Wiltshire SP1 2AJ (01722 343700) The Salisbury International Arts Festival returns in 2011 with a packed programme of theatre, dance, circus, film, music and spoken word in locations around the historic city. Salisbury Live (sponsored by Ringwood Brewery) showcases hundreds of musicians to thousands of onlookers at pubs and other small venues across Salisbury. The Mangledwurzels will be a part of Salisbury Live playing at the The Cathedral Hotel on Sunday 22nd May. The band will be on stage from 8.30pm bringing their brand of Somerset culture (mostly 'agricuture') to the event. Free entry, great music, great vibe. The Wurzels, Surfin' Turnips and Dub Liberators (7pm) at Metropolis, 135-137 Cheltenham Road, Bristol BS6 5RR (0117 909 6655) Rearranged gig. Tickets £16 advance booking strongly recommended! The venue will be hosting their very own Cider Festival in the terraced Beer Garden, with the best local ciders they can find. Weather permitting, they will also be running a BBQ. The Mangledwurzels, The Stopcocks, Tex Braithwaire & The Biryani Brothers The Treasury, Rainy & the Dust, The Ceili Band, Sara Evans Bath Blues Brothers, The Paper Aeroplanes, Jim Rowe, Dave Wright and Greg Cordez Jazz Trio at The Swan Music Festival at The Swan Inn, Rowberrow, Winscombe, Somerset BS25 1QL (01934 852371) A Bank Holiday weekend of live music. Normal pub opening times; free entry. There will be a hog roast and BBQ outside alongside an outside bar serving lots of real ales and local scrumpy ciders. Friday night is '60s country and western night' with The Stopcocks and Tex Braithwaire & The Biryani Brothers; music starts at 7pm 'til 10.30pm. Saturday is 'Indie Pop Day' with The Treasury, The Mangledwurzels, Rainy & the Dust, The Ceili Band, Sara Evans; music starts at noon 'til 10.30pm; The Mangledwurzels will be on stage from 6.30pm. Sunday is 'Big Chill Day' with the Bath Blues Brothers, The Paper Aeroplanes, Jim Rowe, Dave Wright and the Greg Cordez Jazz Trio; music starts at noon 'til 10pm. Acker Bilk & The New Paramount Jazz Band at Octagon Theatre, Yeovil, Somerset. 3B's Concert with Acker Bilk, Chris Barber and Kenny Ball with their bands. The Mangledwurzels (8.30pm) at Bridgwater College Summer Ball at The Cannington Walled Gardens, Bridgwater College Cannington Centre for Land-Based Studies, Cannington, Bridgwater, Somerset TA5 2HA. Ticket only event! Combyne Arvester (8pm) at Charity Cider Festival at The Waverley, 69 Severn Road, Weston Super Mare, Somerset BS23 1DR Throughout the weekend there will be various fund-raising opportunities, with proceeds being split between the RNLI and other North Somerset charities. Entertainment will be provided by bands from around the area, including Combyne Arvester, and there will be a barbecue (weather permitting). For more details call 07810 198332. Somerset Paddies at 2nd Glastonbury Beer Festival at Tor Rugby Club, Lowerside Road, Glastonbury, Somerset BA6 9BH (01458 832 236). The Paddies will be on stage during the afternoon. The Mangledwurzels at Bucklegrove Caravan Park, Rodney Stoke, Cheddar, Somerset BS27 3UZ (01749 870261) Residents and guests only. The Wurzels, The Mangledwurzels at Royal Bath and West Show at The Royal Bath and West Showground, Shepton Mallet, Somerset BA4 6QN (01749 822200) A great day out in Somerset for families, friends and rural enthusiasts. The Wurzels are playing on the usual Wednesday afternoon slot. The Mangledwurzels have been booked to play two 40 minute slots on the Village Green on the Thursday; times to be confirmed.As well as music, you can expect art exhibitions, rural crafts and local produce to a miniature railway, falconry displays and terrier racing - there's more happening than you think at the country's premier agricultural show. Advanced Tickets on sale now - Adults: £17, Family One: £20 (Admits up to one adult and two children under 16), Family Two: £40 (Admits up to two adults and four children under 16), Children under 5 years: Free. Ticketline: 01749 822222 or buy online. On-The-Gate prices - Adults: £20, Children (5 -15 years): £6, Children under 5 years: Free. The Wurzels, Artful Dodger, Fugative, UK Pink Floyd Experience, Guns2Roses and others at Airfest 2011 at Chepstow Racecourse, St. Lawrence Road, Chepstow, Monmouthshire NP16 6BE (01291 622260) AirFest 2011 is a four day music festival set in the picturesque town of Chepstow, nestled in the Monmouthshire countryside. Showcasing some of the countries top new musicians, along with some international artists. This year they are helping to raise much needed funds for the charity 'Help For Heroes'. Four Day Ticket £130.00; Two Day Ticket £70.00; Four and Two day tickets are inclusive of camping pitch). Day Ticket (weekend only) £35.00. Children under 12 years of age £10.00 per day. All children MUST be accompanied by an adult. Note: This event is not on The Wurzels official website, but The Wurzels are on the bill according to the event website. Check before buying tickets! The Wurzels (8pm) at Cheese & Grain, Market Yard, Justice Lane, Frome, Somerset BA11 1BE (01373 455420) Tickets £13.50 in advance including booking fee. The Wurzels, The Charlatans, Eliza Carthy, Martin Carthy & Norma Waterson AKA The Gift Band, Ian Anderson Plays Jethro Tull, Neville Staple, Jeremy Strong, Korky Pau, Jeremy Strong, Ahab, Delta Maid, Beetroot Kings, Ian Whybrow, Judith Kerr and Cathy Hopkins at Wychwood Festival at Cheltenham Racecourse, Prestbury Park, Cheltenham, Gloucestershire GL50 4SH (01993 772580) Wychwood returns to Cheltenham Racecourse 3-5 June 2011 for the 7th Festival. Nominated every year as Best Family Festival in the UK Festival Awards, and close to sell out in 2010, the festival has put a limited number of earlybird tickets on sale for 2011 from 17th September at 9am. Each year Wychwood boasts more than 100 bands over 4 stages, over 100 workshops for all ages, cinema, comedy, kids lit fest, great food and real ales, healing gardens and idyllic camping beneath the Prestbury Hills. The Wurzels are due to play on the Sunday. The Mangledwurzels (4pm) at Family Open Day at Yeovil Liberal Club, 94 Middle Street, Yeovil, Somerset BA20 1LT(01935 423037) Bring the family along there will be bouncy castle and toys in the hall for children. Cheap drinks, burgers and chips for sale from kitchen. Free entry, all welcome. Somerset Paddies (duo) at Beer Festival at Kingfisher Inn, Colyton, Devon. Afternoon show. Pete Shutler (The Yetties) (8pm) hosts at Music Night at The Weavers Club, Westbury, Dorset. For details ring Pete Shutler on 01935 814667. The Skimmity Hitchers (9pm) at Wimborne Folk Festival 2011, Wimborne, Dorset. Free entry. The Mangledwurzels (9pm) at The Butchers Arms, 13 Hendford, Yeovil, Somerset BA20 1TQ. Free entry. The Plonkers Agricultural Orchestra (9am-5pm) at 34th West Dorset Vintage Tractor & Stationary Engine Club Rally, Britt Valley Camping Ground, West Bay, Bridport, Dorset Displays include vintage vehicle parades, ring displays, steam engines, market stalls and more. Bar and refreshments available. The Mangledwurzels at Summer Season at RJ's @ Holiday Resort Unity, Coast Road, Brean Sands, Somerset TA8 2RB (01278 751595) Residents only (free entry). The Wurzels at Rye Hill Farm, Rye Hill, Bere Regis, Dorset BH20 7LP. Gates open at 6.30pm. Bar & Hog Roast. Tickets on sale now from Rotary Club of Wareham; from Williams the Bakers of Wool, Car Radio, Dorchester or from Kevin Crocker on 01929 472327. The Mangledwurzels (9pm) at West County Rugby 7s at Keynsham Rugby Football Club, Crown Field, Bristol Road, Keynsham, Bristol BS31 2BE (0117 987 2520) The West Country 7’s Festival is again being held at Keynsham RFC from Friday 17th to Sunday 19th June 2011. The event will feature over 100 teams in a variety of competitions. Within the festival grounds there will be the usual food and drink outlets, merchandise stalls, entertainment, music, fairground rides, etc. The Mangledwurzels will be performing from 9pm on the Friday evening. £6.00 entry for match and entertainment. The Mangledwurzels (9pm) at The Old Barn Club, Old Barn Way, Yeovil, Somerset BA20 2NX (01935 410307) Free entry; non-members welcome. The Wurzels, The Delays, Mercury, Electric River, 3BF, Iconyx, Decline & Fall, Sumudu, Adam Barnes, Jenna Witts, Et Tu Bruce, Audio Focus, Bohemian Embassy, Nicole Wakeling, Thinking For Tuesday, Bound for Nowhere, Soft Toy Heroes, Maria Byrne and Jay Tamkin Band at South Devon Festival at Fermoys, Totnes Road, Ipplepen, Newton Abbot, Devon TQ12 5TN. See manor-events.co.uk for further information and tickets. The Wurzels and Midwest Radio DJ Scott Temple at Charity Night at Leaze Farm, North Street, Haselbury Plucknett, Crewkerne, Somerset TA18 7PL (01460 78926) Gates open 6.30pm. Hog roast and bar. Tickets £12.00 on sale now. The Mangledwurzels, Bathampton Morris Men and Polish Folk Group (6pm) at Frome Twinning Party at The Bandstand @ Frome Gardens, Victoria Park, Weymouth Road, Frome, Somerset BA11 1HJ. Free entry. Somerset Paddies at Claverham Beer & Cider Festival at Claveham Village Hall, Bishops Road, Claverham, North Somerset BS49 4NF. See Claverham Beer & Cider Festival website for tickets and more information. The Wurzels at The Hand Arena, Davis Lane, Clevedon, Somerset BS21 6TG (01275 874856) Cancelled! The Skimmity Hitchers (9pm) at The Barrel, St. Mary's Street, Bristol BS35 2AB. Free entry. The Mangledwurzels (7pm) at Summer Season at The Tavern at Brean Leisure Park, Coast Road, Brean Sands, Somerset TA8 2QY (01278 751595) Free entry; all ages show. Open to non-residents. Bonny Sartin (The Yetties) will be compere at Yetminster Fair at Yetminster, Dorset. There will be a concert in the marquee with a variety of guests. Bonny has been asked to act as compere for the evening. More details to follow. The Yetties be there in the day as usual with a stall in the street for the afternoon Fair. The Mangledwurzels (7.30pm) at 'Tramps' Ball & Barn Dance at Fernicaps Park Farm, Wiveliscombe, Somerset TA4 2AF. Dress code - 'tramps and wurzels'. Ticket prices and availability to be confirmed; The Mangledwurzels will be on stage around 10pm. 'Ere Whacks (8pm) at Bathford Festival at Bathford Royal British Legion, Bathford, Bath. Hogroast, BBQ etc. The Mangledwurzels at The Pall Tavern, Silver Street, Yeovil, Somerset BA20 1HW (01935 476521) Cancelled! Acker Bilk & The New Paramount Jazz Band (Ball Barber & Bilk) at Venue Cymru, Llandudno, Wales. 3B's Concert with Acker Bilk, Chris Barber and Kenny Ball with their bands. The Mangledwurzels (7pm) at Summer Season at RJ's @ Holiday Resort Unity, Coast Road, Brean Sands, Somerset TA8 2RB (01278 751595) Residents only (free entry). The Wurzels at The Brook, 446 Portswood Road, Portswood, Southampton, Hampshire SO17 3SD (023 8055 5366) Tickets on sale now £12.00. The Mangledwurzels (9pm) at The Highwayman, Cannards Grave Road, Shepton Mallet, Somerset BA4 4LY (01749 331247) Free entry. The Wurzels at Compact Farm, Worth Matravers, Swanage, Dorset BH19 3LE. Under 14's must be accompanied by an adult. Call 07887 960718 for more info and tickets. The Mangledwurzels (8pm) at Templecombe Sports & Social Club, Vine Street, Templecombe, Somerset BA8 0JY. Tickets £5.00 including ploughman's supper. Doors open 8pm; The Mangledwurzels will be performing from 9pm. The Wurzels, The Nashville Teens, Apple Bee Theatre Company, the Demented, Guitar Stools and Cigarettes, Tasha Styles, Bella Voce Choir, Meet the Martyns, Echoes of Swing, Ramsbury School Choir, Breeze, Ray & Sian, Wilton Royal British Legion Band and Aldbourne Band at Party On The Hill at Liddington Warren Farm, Liddington, Swindon, Wiltshire SN4 0EB. A community run event to celebrate the 90th Anniversary of The Royal British Legion raising funds for the Poppy Appeal. Tickets: Adult £25, Children & OAP's £10, Under 12's Enter for Free. Fully Licensed Bar from midday till late. The Mangledwurzels (7.30pm) at Charity Fundraiser at Court Farm Country Park, Wolvershill Road, Banwell, Weston-super-Mare, Somerset BS29 6DL (019354 822383) An charity evening in aid of Guide Dogs for the Blind. Tickets £7.50. Available now from Court Farm Country Park Reception/Tea Room or telephone 01934 822383 (Debit Card payments welcome for telephone bookings). Charity Raffle, Free Car Parking, Full Bar. Doors open 7.30pm; The Mangledwurzels will be on stage from 9pm. The Plonkers Agricultural Orchestra at Netley Marsh Steam Fair at Meadowmead Farm, Netley Marsh, Hampshire. The gates open at 9am each day; the arena starts at 12 noon on Friday and 10am on Saturday and Sunday. The Plonkers will be playing live on Saturday and Sunday. The Wurzels, Gypsy Hill, Wara, Chancery Blame, Zong Zing, The Wagon Tales and DJ Binglybongly (1pm-10pm) at Ealing Global Festival at Walpole Park, Ealing, London Tickets £4.00 adults; children aged 12 and under free. Enjoy an eclectic mix of sounds from across the globe at this year’s festival, including music from the Congo, Cuba, Hungary, South Africa and the Balkans. Acker Bilk & The New Paramount Jazz Band at Festival Marquee, Ham Lane, Sidmouth, Devon. Tickets from Tourist Office: 01395 578627. Corky, Cinnemon Kings, Dolls Rats, Bite The Buffalo and Oxygen Thief (9pm) at The Lamb, 20 St Johns Street, Devizes, Wiltshire. £1.00 suggested entry fee for Pink Ribbons Foundation. The Wurzels at Annual Cider Festival at Bath Racecourse, Lansdown, Bath, Somerset BA1 9BU (01225 424609) The Wurzels playing after the last race. On the last fours years this event, tickets (and sometimes the cider!) sold out, so book early to avoid disappointment. The Mangledwurzels (7.30pm) at 1st Weston-super-Mare Cider Festival at The Royal Hotel, 1 South Parade, Weston-super-Mare, North Somerset BS23 1JP (01934 423100)The 1st Weston Cider Festival is one of the largest gatherings of real ciders and perries - and cider and perry drinkers - in the West. There are three sessions - Friday: 7.30pm-11pm and Saturday: 11.30am-4pm and 7.30pm-11pm. Tickets on sale now priced £7.00 in advance; £8.00 on the door. Evening sessions tend to sell out in advance, so buying your tickets in advance is highly recommended. Tickets available from http://www.clstickets.co.uk; email clsbath@aol.com or phone 01225 330304. On offer will be over 100 ciders and perries including award-winning ciders from Somerset, Herefordshire, Hampshire and South Wales - as well as hog roast rolls and cheese platters, and a range of soft drinks for the drivers. The Mangledwurzels will be playing a full show on the Friday evening and Saturday afternoon only, with Saturday evening's entertainment from The Twurzels. The Mangledwurzels (11am) at 1st Weston-super-Mare Cider Festival at The Royal Hotel, 1 South Parade, Weston-super-Mare, North Somerset BS23 1JP (01934 423100)The 1st Weston Cider Festival is one of the largest gatherings of real ciders and perries - and cider and perry drinkers - in the West. There are three sessions - Friday: 7.30pm-11pm and Saturday: 11.30am-4pm and 7.30pm-11pm. Tickets on sale now priced £7.00 in advance; £8.00 on the door. Evening sessions tend to sell out in advance, so buying your tickets in advance is highly recommended. Tickets available from http://www.clstickets.co.uk; email clsbath@aol.com or phone 01225 330304. On offer will be over 100 ciders and perries including award-winning ciders from Somerset, Herefordshire, Hampshire and South Wales - as well as hog roast rolls and cheese platters, and a range of soft drinks for the drivers. The Mangledwurzels will be playing a full show on the Friday evening and Saturday afternoon only, with Saturday evening's entertainment from The Twurzels. 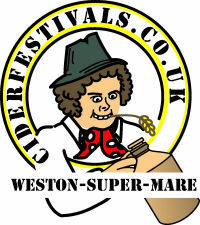 The Twurzels (7.30pm) at 1st Weston-super-Mare Cider Festival at The Royal Hotel, 1 South Parade, Weston-super-Mare, North Somerset BS23 1JP (01934 423100)The 1st Weston Cider Festival is one of the largest gatherings of real ciders and perries - and cider and perry drinkers - in the West. There are three sessions - Friday: 7.30pm-11pm and Saturday: 11.30am-4pm and 7.30pm-11pm. Tickets on sale now priced £7.00 in advance; £8.00 on the door. Evening sessions tend to sell out in advance, so buying your tickets in advance is highly recommended. Tickets available from http://www.clstickets.co.uk; email clsbath@aol.com or phone 01225 330304. On offer will be over 100 ciders and perries including award-winning ciders from Somerset, Herefordshire, Hampshire and South Wales - as well as hog roast rolls and cheese platters, and a range of soft drinks for the drivers. The Mangledwurzels will be playing a full show on the Friday evening and Saturday afternoon only, with Saturday evening's entertainment from The Twurzels. The Mangledwurzels (10am-7pm) at Lowland Games at Muchelney, Somerset TA10 0DW. Started in 1984 by the England family and friends, the Lowland Games is still going strong 26 years later. This year's events will be as much fun for the audience as they are for the participants and will guarantee enjoyment for everyone. The Lowland Games offers the best in local sporting entertainment: The River Raft Race, Mud Wrestling, River 'It’s a Knock Out', Kid’s Games, Food to Munch, Family Dog Shows, Tug O’ War, Fabulous Ferret Racing plus Live Music in the Beer Tent featuring the Mangledwurzels! Look out for the red 'staff' t-shirts or head over to the secretary booth to find out about taking part in any of the events. The Mangledwurzels will be on stage from 3pm. There will be plenty to do, whether you choose to take part in the mud encrusted games or whether you would just like to watch the fun from the river bank whilst enjoying a slice of homemade cake and a cuppa. Not only is this a fun event, but very importantly the Lowland Games is supported by local residents and businesses and raises money for charities and many local causes. Entry: £5 adults, 5 to 16s £1, Under 5’s Free. Somerset Paddies at Sidmouth Folk Festival at The Swan Inn, Sidmouth. The Somerset Paddies will be playing through the day. The Wurzels at Melksham House, Market Place, Melksham, Wiltshire (01225 703265). Ticket prices and availability to be confirmed. The Mangledwurzels (7.30pm) at 4th Bristol Cider Festival at Brunel’s Old Station, Clock Tower Yard, Temple Meads, Bristol BS1 6QH. 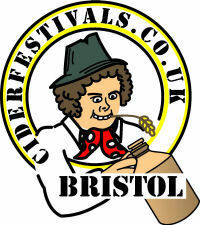 The 4th Bristol Cider Festival is one of the largest gatherings of real ciders and perries - and cider and perry drinkers - in the West. There are three sessions - Friday: 7.30pm-11pm and Saturday: 11.30am-4pm and 7.30pm-11pm. Tickets on sale now priced £7.00 in advance; £8.00 on the door. Evening sessions tend to sell out in advance, so buying your tickets in advance is highly recommended. Tickets available from http://www.clstickets.co.uk; email clsbath@aol.com or phone 01225 330304. On offer will be over 100 ciders and perries including award-winning ciders from Somerset, Herefordshire, Hampshire and South Wales - as well as hog roast rolls and cheese platters, and a range of soft drinks for the drivers. The Mangledwurzels will be playing a full show at all sessions. The Wurzels and 4 Rock's Sake at Blakeney Barn Dance, New Road, Blakeney, Gloucestershire. Tickets on sale now; tel 07511 501272 for more information and prices. The Mangledwurzels (11.30am) at 4th Bristol Cider Festival at Brunel’s Old Station, Clock Tower Yard, Temple Meads, Bristol BS1 6QH. The 4th Bristol Cider Festival is one of the largest gatherings of real ciders and perries - and cider and perry drinkers - in the West. There are three sessions - Friday: 7.30pm-11pm and Saturday: 11.30am-4pm and 7.30pm-11pm. Tickets on sale now priced £7.00 in advance; £8.00 on the door. Evening sessions tend to sell out in advance, so buying your tickets in advance is highly recommended. Tickets available from http://www.clstickets.co.uk; email clsbath@aol.com or phone 01225 330304. On offer will be over 100 ciders and perries including award-winning ciders from Somerset, Herefordshire, Hampshire and South Wales - as well as hog roast rolls and cheese platters, and a range of soft drinks for the drivers. The Mangledwurzels will be playing a full show at all sessions. The Wurzels at Hog Roast and Cider Night! at at Falmouth Week 2011, Events Square, Falmouth, Cornwall (01209 716138). Tickets on sale now; £5.00 adults, family tickets £10.00. The Wurzels, The Skimmity Hitchers, The Boot Hill All Stars, New Model Army, The Dub Pistols, Zodiac Mindwarp, The Love Reaction, Banco de Gaia, Pronghorn, Subgiant, The Members, Citizen Fish, UK Subs, Los Albertos, The Vibrators, Tragic Roundabout and Karl Phillips and the Midnight Ramblers plus others at Endorse It In Dorset 11 Festival at Oakley Farm, Sixpenny Handley, Dorset SP5. Tickets on sale now at £78.00. The Endorse It In Dorset Festival is renowned for its friendly, laidback appeal, harking back to the days before festivals were corporate-driven events on the social calendar. The Wurzels are headling on the Sunday night. The Wurzels at Kings Arms Hotel, 29 High Street, Malmesbury, Wiltshire (01666 823383). Ticket prices and availability to be confirmed. The Mangledwurzels at Cider Festival at The White Hart, 2 London Road, The Green, Calne, Wiltshire SN11 0AB. £5.00 entry including ploughman's, Normal pub opening times; The Mangledwurzels will be on stage from 8.45pm. The Wurzels, The Shy-Teds, Wylde Green and others at Westbury Festival at Adsett Farm, Adsett Lane, Westbury-on-Severn, Gloucestershire GL14 1PQ (07866 922985). Adult Ticket inc. camping and car parking £20.00; Young Person (13-17) £10.00; Children 12 & under free. The Wurzels are headling on the Saturday night. The Mangledwurzels (8pm) at Sharpness Cider Festival at Sharpness Dockers Club, Sharpness Docks, Berkeley, Gloucestershire GL13 9UN. An all-day extravaganza of real ciders and perries. Tickets are £5.00 available in advance or on the day; email sdockersclub@aol.co.uk or phone 01453 811477 for advanced tickets. Tickets are £5.00 available in advance or on the day; email sdockersclub@aol.co.uk or phone 01453 811477 for advanced tickets. Doors open at noon 'til late; The Mangledwurzels will be performing from 8pm. Food will be available all day. The Plonkers Agricultural Orchestra at The 38th Yesterday's Farming Show at Gilcombe Farm, Bruton, Somerset BA10 0QE. Heavy Horses Traditional Hay Making, Field Gun Dog Display, 200 Working Classic/Vintage Tractors, Horticultural Ploughing Machinery, Arts and Crafts, Dairy Bygones, Stationary Engines & Live Steam. Licensed Bar Food available by the Gremlins Carnival Club. Commercial Vehicles & Live Stock Rare Breeds, Village Green. The Wurzels (8am-6pm) at The Mid-Somerset Show at Shepton Mallet Showground, Cannard's Grave Road, Shepton Mallet, Somerset BA4 4LY. Free entry; parking £7.00. Gates open at 8am; The Wurzels will be playing one set on the Upper Showfield from 4.30pm. The Wurzels, From The Jam, Mike Sanchez, The Beat, The Rubettes Feat. Bill Hurd, The Bohemians, The Magoos, The Sarah Warren Band and Sugar Mama plus others at Upton Festival 2011, Fish Meadow, Upton-Upon-Severn, Worcestershire WR8 0HY. Tickets on sale now priced £30.00 to £45.00 day tickets; £45.00 to £55.00 weekend tickets. The Wurzels have been confirmed as playing on the Saturday afternoon before they go to Cleve! The Wurzels, The Boot Hill All Stars, Dreadzone, Hobo Jones and the Junkyard Dogs, The Outcast Band, U2UK, Sound of the Sirens, Kosmo Kings, True Blue, The Stanleys Tainted Orange, Ten Pound Suit Band, Stiff Kittens, Thinker, Penthouse, Shed Smile, Simmertones, Dam Buskers, 360, Bemis plus others at Watchet Carnival Music Festival, The Down on Parsonage Farm, Watchet, Somerset. Held over the August Bank holiday weekend, this is a family friendly festival with amazing views of the West Somerset coastline and beyond. On site camping, 2 stages, Open mic tent, Something Else tea tent, Food Court, Workshops, Real ale and Cider bar, Kids corner, on site tent camping and car parking with over 30 live acts. See event website for ticket prices and availability. The Wurzels (7pm) at Cadbury House Hotel, Frost Hill, Congresbury, Bristol BS49 5AD (01934 834343) Back by popular demand – always a sell-out, so book early to avoid disappointment! Tickets £15.00, on sale now. Disco, pig roast, and licensed bar with guest beers and ciders. The Mangledwurzels (9pm) at Rosewood Inn, Love Lane, Burnham-on-Sea, Somerset TA8 1EZ (01278 780246) Free entry. The Mangledwurzels (9pm) at The Winscombe Club, 7 Sandford Road, Winscombe, Somerset BS25 1HD (01934 842624) Details to follow. The Skimmity Hitchers (9pm) at Maurice Hannam Cider Festival 2011 at Acorn Inn, 28 Fore Street, Evershot, Dorchester, Dorset DT2 0JW. Free entry. The Mangledwurzels (10am) at The Uffington White Horse Show at The Showground, Fawler Road, Uffington, Wiltshire SN7 7SD. A traditional two-day Country Show which takes place every August Bank Holiday Sunday and Monday.The Show is located in farm meadows overlooked by the famous Bronze Age chalk stone figure of the Uffington White Horse, which is over 3,000 years old. The Show was started nearly forty years ago by local villagers to raise funds to replace the Village Hall in Uffington. This objective was achieved in 1975 when the Thomas Hughes Memorial Hall was completed and opened. The Show's success and wide appeal to the public has allowed it to flourish and continue to support many local charities and associations since then. The show motto is "Countryside, Family and Fun" and the oganisers aim to bring enjoyment and value to that wide and varied group. This year that includes The Mangledwurzels will be playing two sets on both days. Daily Admission Prices: Adults: £10; Children & OAPs: £7.50; Family Ticket: £27.50 (2 adults and up to 3 children under 16); Parking Free. The Plonkers Agricultural Orchestra at Brockenhurst Carnival at Brockenhurst, Hampshire. Brockenhurst's annual carnival is always followed by a charity fete in the grounds of Brockenhurst College. A popular event in the New Forest, with a range of stalls and activities. 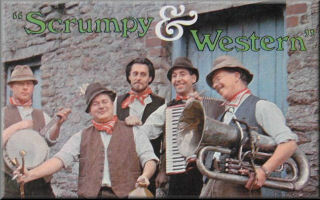 The Wurzels and various other bands at Great Dorset Steam Fair, Blandford Forum, Dorset DT11 8JA (01258 861238 / 861239). The Great Dorset Steam Fair Music Festival has live bands across five days on five stages. Acker Bilk & The New Paramount Jazz Band (Ball Barber & Bilk) at National Concert Hall, Dublin, Ireland. 3B's Concert with Acker Bilk, Chris Barber and Kenny Ball with their bands. The Mangledwurzels and others at Wessex Beer Festival at The Court Hotel, Emborough, Radstock, Somerset BA3 4SA (01761 232237) One of Somerset's finest beer and cider festivals with real ales and ciders from the length and breadth of the British Isles. The Wessex Beer (and Cider) Festival is now in its fifth year and to be held in the beautiful and generously donated grounds of the Court Hotel, Chilcompton. This Charity Event is organised by The Rotary Club of Somer Valley; 2010's festival raised over £5000 for needy causes. It takes place from 5pm to 11pm on Friday 9th and 11am to 11pm on Saturday 10th September. Early indications are that there will be a large demand for tickets, so please book early. Ticket allocation will be on a first come first served basis. You'll also save yourself a couple of quid a ticket by ordering in advance! As usual the new venue will allow full camping and caravanning facilities. You can book camping, along with your tickets. Entry Tickets cost £7.00 in advance, or £9.00 at the door; half pint beer tokens cost £1.50, and camping costs £7.50 per person per night. Tickets go on sale 1st July 2011. The entrance fee gives you a huge choice of real ales & ciders under one roof for you to try, comprehensive programme & tasting notes, excellent atmosphere & company, a souvenir glass, live music, and FREE Beer Token for CAMRA Members (just show your membership card on the door). And most importantly you get a chance to help Rotary raise some serious money for charity. There will be live entertainment all weekend, The Mangledwurzels will be playing on the Friday evening - times and full line-up to be confirmed. The Mangledwurzels (8am) at 134th Frome Cheese Show at West Woodlands Showground, West Woodlands, Frome, Somerset BA11 5ES (08700 115007) Frome Agricultural & Cheese Show is a popular one day agricultural show with variety of ring events including The Devil's Horsemen, The Quack Pack and Pony Club games. Also funfair, craft, horticultural exhibitions, competitions, stalls, Cheese Pavilion and more. The Mangledwurzels will be playing two sets in the Cheese Pavilion. The event runs from 8.30am till dusk. Tickets are now available priced £9.00 in advance or £12.00 on the day; senior citizens £7.00 in advance or £10.00 on the day; children 5-12yo £1.00 in advance or £3.00 on the day; under 5yo get in for free. Family tickets (2A+2C) £18.00 in advance or £25.00 on the day. A regular bus service will run, as usual, from the Rodden Road show office in Frome direct to and from the showground. Tickets will be available early next year. The Mangledwurzels (10am) at Frampton Country Fair at Frampton Court Estate, Frampton on Severn, Gloucestershire GL2 7EP (08452 305177) Gates open from 9am-5.30pm; events start at 10.00am. A true rural show, with traditional attractions providing both entertainment and information to visitors, including gun dogs, shooting area and fishing coupled with trade stands and main ring entertainment. The Mangledwurzels will be playing two sets from noon. Tickets are now available priced £7.00 in advance or £9.00 on the day; £3.00 for children 5-12yo; under 5yo get in for free. You can make a £2.00 per adult saving by buying your tickets in advance through the Everyman Theatre on 01242 572573 or online. It is also possible to buy a programme in advance. Tickets can also be bought on the day at the gate. The Mangledwurzels (7.30pm) at Captain’s Evening at Wheathill Golf Club, Wheathill, Lydford on Fosse, Somerton TA11 7HG (01963 240 667) An evening of entertainment & fun open to members, guests and friends. Door open 7.30 for 8.00pm. The Mangledwurzels will be performing a first set from 8pm-8.45pm. Ploughman's Supper 8.45-9.15pm and The Mangledwurzels play their second set from 9.15pm to 10.00pm. Tickets on sale now priced at £12.50, available at the Club Bar. Casual dress. Somerset Paddies and The Covers (7pm-midnght) atThe Stapleton & Begbrook Charity Night at The Stapleton & Begbrook Club, Frenchay Park Road, Stapleton, Bristol BS16 1HY. Tickets on sale now; early-bird prices (before 1st August) adult tickets £10 (including buffet), family tickets £25.00. Contact Martyn for ticket details on 07762131514 or email rowemartyn@aol.com. The Skimmity Hitchers (9pm) at Bridport Hat Festival at The Ropemakers, West Street, Bridport, Dorset. Free entry. The Mangledwurzels (9pm) at The Bell Hotel, 2 High Street, Shepton Mallet, Somerset BA4 5AN (01749 345393) Free entry. Acker Bilk & The New Paramount Jazz Band at Folly Farm Theatre, Kilgetty, Pembrokeshire. Contact Diana on 01834 845341 for ticket information and more details. The Wurzels at The Wharf, Tavistock, Devon Tickets £15.00 on sale now. The Mangledwurzels and Horizon (7.30pm) at Radstock & Midsomer Norton Lions Charity Fundraiser at The Ballroom @ Paulton Rovers FC Social Club, Winterfield Road, Paulton BA39 7RF (01761 412 907) Tickets are available in advance only, and are on sale now priced at £10.00 including Ploughman's Supper. Tel 0845 833 9601 or email mwtickets@radstockandmidsomernortonlions.org.uk for tickets. All profits go to local charities. The Mangledwurzels (9pm) at The Pilgrim Inn, 21/23 Holywood Road, Brislington, Bristol BS4 4LE. Free entry. The Mangledwurzels (noon) at The Annual Sherston Mangold Hurl at Sherston Village Hall Field, High Street, Sherston, Malmesbury, Wiltshire SN16 0LH. The Ancient Order of Sherston Mangold Hurlers Annual Mangold Hurl takes place on Sherston Village Green every October. In 2006, Team Mangledwurzel (Hedge, Seth and Jethro) took part in the event, and reached the semi-final. Now they are back - and this time it's serious! The event starts at noon, with The Mangledwurzels performing two sets from 2.30pm. The Skimmity Hitchers (9pm) at Cider and Sausage Festival at The Greyhound, The Square, Corfe Castle, Wareham, Dorset BH20 5EZ Free entry. The Plonkers Agricultural Orchestra at Steam Pressing Weekend at New Forest Cider, Littlemead, Pound Lane, Burley, New Forest, Hampshire. Barry Topp has invited back Golly and the gang to play at his steam cider press open days. Demonstrations during this two-day event include a steam driven cider press, hurdle makers, wood turning with The Plonkers appearing live (providing they don't have too much cider). The Wurzels at Gloucester Guildhall, 23 Eastgate Street, Gloucester, Gloucestershire GL1 1NS (01452 396389) Tickets £13.50 on sale now. The Wurzels at Fireworks Display at Taunton Racecourse, Orchard Portman, Taunton, Somerset TA3 7BL (01823 337172) Tickets £5.00, children under 3 free. Gates open 3pm; fireworks fom 7pm. Bar, food, live enterainment and free parking. The Mangledwurzels (9pm) at Montacute Working Men's Club, The Hall, Bishopston, Montacute, Somerset TA15 6UU (01935 823376) Free entry; open to non-members. The Wurzels at Queen's Theatre, Barnstable, Devon (01271 324242) Ticket prices to be confirmed. The Wurzels at The Grand Pier, Weston-super-Mare, Somerset (01934 620238) Tickets are now on sale, and can be purchased online or at the Retail Shop on the first floor of the Grand Pier. The first 500 tickets will be priced at £7.50 (plus a £1 booking fee if purchased online), so hurry and get your tickets early! Doors will open at 6:30pm on the night, all ages are welcome but please remember any under 18’s will need to be accompanied by an adult. For more information please contact the Pier's Events Team on 01934 646155. The Wurzels (7pm) at Electric Palace, 35 South Street, Bridport, Dorset DT6 3NY (01308 426336) Tickets £14.50 on sale now from Bridport Tourist Information Centre. The Mangledwurzels (8pm) atCharity Fundraiser at Luxborough Village Hall, Luxborough, Somerset TA23 0SH. Tickets £12.50 including a hot supper. Tickets will be available from mid-September from Graham on 01984 640436 or in person from the Royal Oak Inn in Luxborough. Acker Bilk & The New Paramount Jazz Band (Ball Barber & Bilk) at Fernham Hall, Fareham, Hampshire. 3B's Concert with Acker Bilk, Chris Barber and Kenny Ball with their bands. Bonny Sartin (The Yetties) (7.30pm) at Dorset County Museum, High West Street, Dorchester, Dorset (01305 756824) 'The Labourer's Lot', a talk by Bonny. The farm labourers of Dorset had a terrible time from about 1775 until 1875 - hence The Swing Riots and The Tolpuddle Martyrs. The Sartin family lived through this or tried to escape from it. For tickets ring the Museum on 01305 756824. Somerset Paddies (9pm) atMini Cider Fest at Camballs Landing, Clevedon. Mixed ciders, bread and cheese. The Mangledwurzels (9pm) at Tramways Social Club, West Street, Wells, Somerset BA5 2HN (t. 01749 672 818) Open gig; tickets £5.00 for members and £7.50 for non-members. These are available from the club bar, or call on 01749 672818 to pre-book. Tickets will be available on the door (unless it sells out). Somerset Paddies at Baccy Jar, Whitchurch. Grand re-opening of this refurnished pub now under new management. The Wurzels, Kanda Bongo Man, Seth Lakeman, Three Daft Monkeys, Jane Taylor, Richard Digance, Alejandro Toledo & the Magic Tombolinos, Emily Smith, Fairport Connections, Feast of Fiddles, Mathews Southern Comfort, Quill, Ralph McTell, The Churchfitters, The Dylan Project, Cara Dillon, Chumbawumba, Jaquie McShee’s Pentangle, Martyn Joseph, Peatbog Faeries, Steve Gibbons Acoustic and others at Great British Folk Festival at Butlins, Skegness (0845 070 4734) As with all our Big Weekends, there are plenty of activities to keep the crowds entertained throughout the day. Offering superb value the winter festival price includes 3 nights accommodation, Large indoor music venues, Big name live acts including acoustic sets and a wide range of restaurants and bars in our undercover Skyline Pavilion. The Great British Folk Festival is an adult only break so no children will be allowed on the Resort during the festival. The Mangledwurzels (9pm) at The Red Lion, 76 Broad Street, Staple Hill, Bristol BS16 5NL (0117 956 9983) Free entry. The Wurzels plus Club de Fromage DJ’s Slow Alfie and Fat Tony at O2 Academy, Islington, London (0844 477 2000) Tickets £15.00 each; Group discount: Buy 10 tickets or more: £10 in advance only. Over 18s only. The Wurzels and Boothill Allstars (7.30pm) at Komedia, 22-23 Westgate Street Bath BA1 1EP. Doors Open £7.30pm; £12 per ticket - on sale now! The Mangledwurzels (9pm) at The Six In Hand, Edlogan Square, Croesyceiliog, Cwmbran, Gwent NP44 2NR (01633 860 569) £5.00 on the door. Fancy dress and hog roast. The Wurzels at Christmas Show at The Tunnels, Arches 31 & 32, Lower Station Approach Road, Bristol BS1 6QF. Doors open £7.30pm; tickets £10.50 - on sale now! The Wurzels at The Brook, 446 Portswood Road, Portswood, Southampton, Hampshire SO17 3SD (023 8055 5366) Tickets on sale now £15.00 in advance; £17.00 on the door. The Mangledwurzels (9pm) at New Year's Eve Party at The Canal Inn, Wrantage, Taunton, Somerset TA3 6DF (01823 480210) Normal pub opening hours; The Mangledwurzels will be performing from 9pm until the end of the year... Phone 01823 480210 and reserve your tickets early to avoid disappointment as this will be a sell-out event.